"An unparalleled pleasure it is to open a book alone by lamplight and make a friend from the distant past." My academic specialty (and, like Kenkô, my pleasure) is studying and teaching the literature and culture of premodern Japan, particularly poetry and diaries, both in the vernacular and in Sino-Japanese (kanbun). My main work has been in the areas of linked verse (renga), the most popular poetic form throughout Japan's medieval period, and of the diaries and travel journals by renga masters, which document with vivid elegance that tumultuous yet vibrant age. Hundreds of linked sequences remain, created by groups of poets according to enormously complex rules but animated by extemporaneous creativity and spirited competition. Those interests in turn have taken me almost a thousand years back in time to the study of Man'yôshû (Collection of a myriad leaves), which with its more than 4,500 poems and 500 poets from all walks of life has long been viewed as the fountainhead of the Japanese vernacular poetic tradition. I gravitate toward poetics, performativity, and theories of self-representation, but most of all to the basic question of how those distant authors understood their world. I'm also deeply engaged by the theory and practice of literary translation, which I see as the closest form of reading and as a challenging and vital art in our technological age. In my free time I play jazz trumpet, which is not only exciting and creative on its own but which also resonates with the artistry, discipline, and improvisation of the Japanese poetic tradition. Nishi Kazuo and Hozumi Kazuo. Edo, The City that Became Tokyo: An Illustrated History. Tokyo: Kodansha International, 1985. Sakamoto Tarô. The Japanese Emperor Through History. 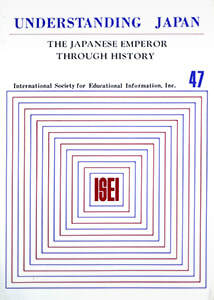 Tokyo: International Society for Educational Information, 1984. 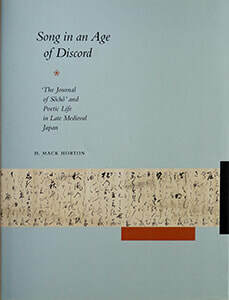 Song in an Age of Discord: The Journal of Sôchô and Poetic Life in Late Medieval Japan. Stanford: Stanford University Press, 2002. Fujioka Michio. 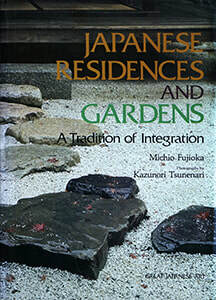 Japanese Residences and Gardens: A Tradition of Integration. Tokyo: Kodansha International, 1982. Yasuoka Akio. The Modern History of Japan. Tokyo: International Society for Educational Information, 1981. ​Account of a Japanese Mission to Silla in 736-737. Cambridge, MA: Harvard University Asia Center, 2012. Takeda Tsuneo. 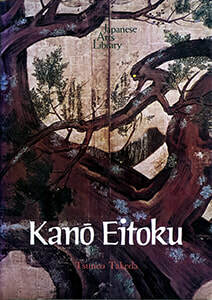 Kanô Eitoku. Japanese Arts Library. Co-translation-adaptation with Catherine Kaputa. Tokyo: Kodansha International, 1978. Setouchi Jakuchô and Ishiodori Tatsuya. The Tale of Genji Picture Book. Tokyo: Kodansha International, 1999. Setouchi and Ishiodori. The Tale of Genji Picture Book. Tokyo: Kodansha International, 1999. Hashimoto Fumio. Architecture in the Shoin Style. Japanese Arts Library. Tokyo: Kodansha International, 1981. Linked Verse in Medieval Japan: History, Commentary, Performance. New York: Columbia University Press. In press. The Rhetoric of Death and Discipleship in Premodern Japan: Sôchô's Death of Sôgi and Kikaku's Death of Master Bashô. Japan Research Monograph series. Berkeley: Institute of East Asian Studies, University of California. In press. 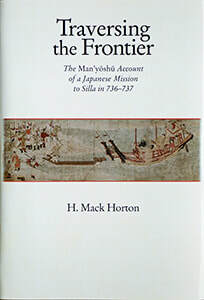 Traversing the Frontier: The Man'yôshû Account of a Japanese Mission to Silla in 736-737. Cambridge, MA: Harvard University Asia Center, 2012. The Journal of Sôchô: Translation with Annotation and Introduction. 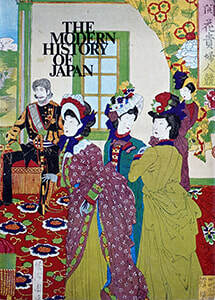 Stanford: Stanford University Press, 2002 (Winner of the Japan-U.S. Friendship Commission Prize for the Translation of Japanese Literature, 1993-94, and the Bookbuilders West Award for design, 2003). Naitô Akira and Hozumi Kazuo. Edo, The City that Became Tokyo: An Illustrated History. Tokyo: Kodansha International, 2003. See also "Articles," below. Nishi Kazuo and Hozumi Kazuo. What is Japanese Architecture? Tokyo: Kodansha International, 1985. See also "Articles," below. Hashimoto Fumio. Architecture in the Shoin Style. Japanese Arts Library. Tokyo: Kodansha International, 1981. See also "Articles," below. The Tale of Genji. 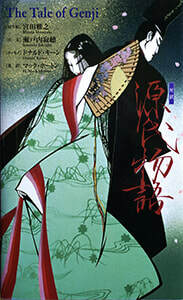 Illustrated by Miyata Masayuki, Introduced by Setouchi Jakuchô and Donald Keene. Tokyo: Kodansha International, 2001. Setouchi Jakuchô and Ishiodori Tatsuya. The Tale of Genji Picture Book. Tokyo: Kodansha International, 1999. See also "Articles," below. Fujioka Michio. Japanese Residences and Gardens: A Tradition of Integration. Photographs by Kazunori Tsunenari. Tokyo: Kodansha International, 1982. Tazawa Yutaka, ed. Biographical Dictionary of Japanese Art. Co-translation. Tokyo: International Society for Educational Information, 1981. "Making it Old: Premodern Japanese Poetry in English Translation." Asia Pacific Translation and Intercultural Studies, Routledge / Taylor & Francis Group and Yatai kuaxueke fanyi yanjiu 亚太跨学科翻译研究 (Asia-Pacific Interdisciplinary Translation Studies), published by Tsinghua University Press. In press. 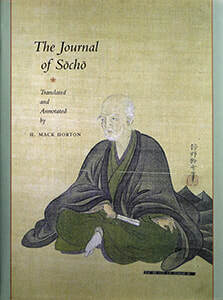 "The Journal of Sôchô." In Journeys 2017: An Anthology of International Haibun, pp. 315-28. Ed. Angelee Deodhar. Chandigarh: Deodhar, 2017. "Man'yôshû." A chapter for The Cambridge History of Japanese Literature, pp. 50-85. Ed. Haruo Shirane and Tomi Suzuki, with David B. Lurie. Cambridge: University of Cambridge Press, 2016. "Poetry of Japan" and "Japanese Linked Verse (Renga)." Two entries in The Princeton Encyclopedia of Poetry and Poetics. 4th. ed. Princeton, N.J.: Princeton University Press, 2012. "Early Haikai." Journal of Renga and Renku 2 (2012): 79-95. "Genji monogatari ni okeru nyôbôtachi no yakuwari: Henrii Jeemuzu to Mihairu Bafuchin no bungaku riron o haikei to shite『源氏物語』における女房たちの役割―ヘンリー・ジェームズとミハイル・バフチンの文学理論を背景として. Tr. Miho Tajima Alvarez and Midorikawa Machiko. In vol 3 of Heian bungaku no kochûshaku to juyô 平安文学の古注釈と受容. Ed. Jinno Hidenori 陣野英則 and Midorikawa Machiko 緑川真知子. Tokyo: Musashino Shoin, 2011. Pp. 6-20. "Gradus ad Mount Tsukuba: An Introduction to the Culture of Japanese Linked Verse." Journal of Renga and Renku 1 (January, 2011): 34-50. Also in French, with added French bibliography, as "Gradus ad Mont Tsukuba: Une introduction à la culture du vers lié au Japon." Tr. Cécile Alduy, Darci Lauren Gardner, Lisa Sapinkopf, and Elsie Suréna. Revue du tanka francophone 13 (June, 2011), 25-65. "Popular Linked Verse (Haikai)." In Traditional Japanese Literature: An Anthology, Beginnings to 1600. Ed. Haruo Shirane. Columbia University Press, 2007. Pp. 1152-59. Reprinted in Traditional Japanese Literature, Abridged Edition, pp. 521-28 (2012). Forty entries for the Dictionnaire des sources du Japon classique / Dictionary of Sources of Classical Japan. Ed. Joan Piggott, Ivo Smits, Michel Vieillard-Baron, and Charlotte von Verschuer. Paris: Collège de France. 2007. "Temple of the Golden Pavilion" and "Linked Verse." Calliope 16.5 (January, 2006): 30-34, 45-48. "A Travers la lisière: Les poèmes des envoyés à Silla dans le Man.yôshû." Tr. Christophe Wall-Romana. Cipango. Paris: Institut national des langues et civilisations orientales. No. 13 (2006): 101-33. "Portrait of a Medieval Japanese Marriage: The Domestic Life of Sanjônishi Sanetaka and His Wife." Journal of the Association of Teachers of Japanese 37 (Oct. 2003): 131-54. "Renga to jazu ongaku" 連歌ととジャズ音楽 (Linked verse and jazz). In Kokusaika no naka no Nihon bungaku kenkyû 国際化のなかの日本文学研究 (Internationalization and Japanese Literary Studies). Ed. Ii Haruki 伊井春樹, 83-86. Ôsaka Daigaku Kokugo Kokubungakkai, 2002. Reprinted by Kazama Shobô, 2004. Introduction. 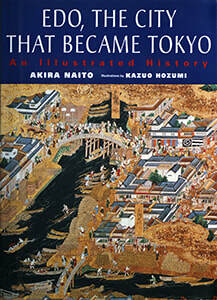 Edo, The City that Became Tokyo: An Illustrated History. Kodansha International, 2003. See also "Translated and Adapted Books," above. Introduction. "Laughs to Banish Sleep: Selections from Seisuishô (1623), by Anrakuan Sakuden." In An Episodic Festschrift for Howard Hibbett. Bangkok: Aksornsamai Press, 2001. See also "Translated Articles and Fiction," below. "An Introduction to The Tale of Genji." In Setouchi Jakuchô and Ishiodori Tatsuya, The Tale of Genji Picture Book, 11-15. Tokyo: Kodansha International, 1999. See also "Translated Books," above. "Nijô Yoshimoto." In Medieval Japanese Writers, ed. Steven D. Carter, 200-16. Vol. 203 of Dictionary of Literary Biography. Detroit: The Gale Group, 1999. "Saiokuken Sôchô." In Medieval Japanese Writers, ed. Steven D. Carter, 234-46. Vol. 203 of Dictionary of Literary Biography. Detroit: The Gale Group, 1999. "Sanjônishi Sanetaka." In Medieval Japanese Writers, ed. Steven D. Carter, 247-60. Vol. 203 of Dictionary of Literary Biography. Detroit: The Gale Group, 1999. "Shinden," "Secular," and "Pre- and Proto-historic: Jômon, Yayoi and Kofun" (the last with Mary N. Parent). 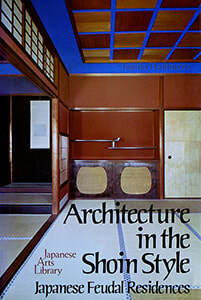 Three articles on Japanese pre-modern residential architecture in Vol. 17 of The Dictionary of Art, ed. Jane Shoaf Turner, 53-83. London: Macmillan Publishers, 1996. "Kaigai ni okeru renga kenkyû shi" 海外における連歌研究史 (The history of foreign linked-verse studies) and Shuhitsu yôjinshô 執筆用心抄 (Advice for the scribe). 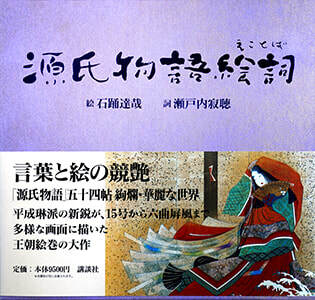 Two articles in Haibungaku daijiten 俳文学大辞典 (The dictionary of haikai literature). Tokyo: Kadokawa Shoten, 1995. "Choice in Translation: New Nô Plays in English." Review article of Chifumi Shimazaki, Warrior Ghost Plays from the Japanese Noh Theater and Royall Tyler, Japanese Nô Dramas. Journal of the Association of Teachers of Japanese 28.1 (May, 1994): 79-92. "'Japanese Spirit and Chinese Learning': Scribes and Storytellers in Pre-Modern Japan." In The Ethnography of Reading, ed. Jonathan Boyarin, 156-79. Berkeley: University of California Press, 1993. "Renga Unbound: Performative Aspects of Japanese Linked Verse." Harvard Journal of Asiatic Studies 53.2 (December, 1993): 443-512. "Saiokuken Sôchô and Imagawa Daimyô Patronage." In Literary Patronage in Late Medieval Japan, ed. Steven D. Carter, 105-61. Michigan Monograph Series in Japanese Studies. Ann Arbor: Center for Japanese Studies, The University of Michigan, 1993. "They Also Serve: Ladies-in-Waiting in The Tale of Genji." In Approaches to Teaching Murasaki Shikibu's The Tale of Genji, ed. Edward Kamens, 95-107. New York: The Modern Language Association of America, 1993. Reprinted in Classical and Medieval Literature Criticism, vol. 79, 372-79, ed. Jelena Krstovic (Detroit: Thomson Gale, 2006) and in Genji monogatari: Gendai eigo ronbun shûsei 源氏物語：現代英語論文集成, ed. Richard H. Okada, vol. 2 (Tokyo: Edition Synapse, 2010), which is also published as The Tale of Genji (Routledge, 2010). "Fashioning Personality: Text, Context, and Interpretive Strategy." Review article of Edward Kamens, The Buddhist Poetry of the Great Kamo Priestess: Daisaiin Senshi and Hosshin wakashû. Journal of the Association of Teachers of Japanese 26.1 (April, 1992): 25-46. "Introduction." In Nishi Kazuo and Hozumi Kazuo, What is Japanese Architecture? 7-11. Tokyo: Kodansha International, 1985. See also "Translated and Adapted Books," above. "Shoin zukuri." Encyclopedia of Japan. Tokyo: Kodansha International, 1984. "Introduction." In Hashimoto Fumio, Architecture in the Shoin Style, 13-38. Japanese Arts Library. Tokyo: Kodansha International, 1981. See also "Translated and Adapted Books," above. Review of Torquil Duthie, Man'yôshû and the Imperial Imagination in Early Japan. Monumenta Nipponica 70.1 (2015): 123-27.
Review of Robert N. Huey, The Making of Shinkokinshû. Harvard Journal of Asiatic Studies 63.2 (Dec., 2003): 457-72.
Review of Linda H. Chance, Formless in Form: Kenkô, Tsurezuregusa, and the Rhetoric of Japanese Fragmentary Prose. 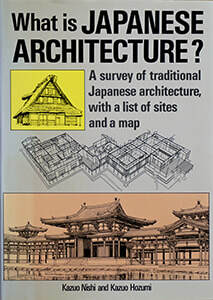 Harvard Journal of Asiatic Studies 59.1 (1999): 254-65.
Review of Nicolas Fiévé, L'architecture et la ville du Japon ancien: Espace architectural de la ville de Kyôto et des résidences shôgunales aux XIVe et XVe siècles. Journal of Japanese Studies 24.1 (1998): 12-26.
Review of Steven D. Carter, The Road to Komatsubara: A Classical Reading of the Renga Hyakuin. Gakutô 86.6 (June, 1988): 66-68. In Japanese. Review of Rosette Willig, tr., The Changelings: A Classical Japanese Court Tale. The Journal of Asian Studies 43.4 (August, 1984): 773-75. "Laughs to Banish Sleep: Selections from Seisuishô (1623), by Anrakuan Sakuden." In An Episodic Festschrift for Howard Hibbett. Bangkok: Aksornsamai Press, 2001. See also "Articles," above. Kaneko Kinjirô. "Sôgi and the Imperial House: One Model of Medieval Literary Patronage." In Literary Patronage in Medieval Japan, ed. Steven D. Carter, 63-93. Michigan Monograph Series in Japanese Studies. Ann Arbor: Center for Japanese Studies, The University of Michigan, 1993. "The Demon of Ôeyama." In Twelve Plays of the Noh and Kyôgen Theaters, ed. Karen Brazell, 147-67. Cornell University East Asia Papers 50. Ithaca, N.Y.: Cornell University, 1988. Sata Ineko. "Reencounter." Feminist International 2 (1980): 83-86. "The Buddha teaches us to reject worldly things. Even my affection for this thatched hut is a sin; even my love of tranquility must be accounted an impediment to rebirth. Why do I waste time in descriptions of inconsequential pleasures?" When the Japanese recluse Kamo no Chômei wrote those lines seven centuries ago in his Account of a Ten-Foot-Square Hut (Hôjôki), it was taken for granted that all life was suffering and that suffering was caused by desire. It was to end suffering and achieve salvation that Chômei's narrator had abandoned the world for the ostensible sanctity of a simple hut. But at the end of his essay, the narrator discovers that he has paradoxically become attached to the very vehicle of his salvation, and that he is no more truly enlightened than he was before he cut his ties to the world. Even the act of writing itself, he realizes, is an “inconsequential pleasure” that impedes full recognition of the Buddhist Truth. And yet, in his discovery of that paradox he finds the seeds of true wisdom, and in expressing it, he leads his readers toward salvation as well. Has Kamo no Chômei’s medieval weltschmerz become an “inconsequential pleasure” in the third millennium? What possible relevance can the writing of a 13th c. recluse have for a 21st c. student? As David Damrosch warned in an article entitled “Can Classics Die?,” ancient languages and literatures are increasingly perceived as trivial in this technological age. Excellence in teaching, for me, lies in how successfully I can make a text that deeply mattered to earlier generations come alive again now, in an environment almost inconceivably removed in time and place. Fortunately, the field of classical Japanese literature is extraordinarily rich; it covers over twelve centuries of texts, including the thousand-page classic The Tale of Genji, which though written ten centuries ago anticipates the modern novel, and the seventeen-syllable haiku, one of the shortest poetic forms in the world and still one of the most popular. Like all her 11th c. aristocratic contemporaries, the author of Genji believed in spirit possession, dream prophecy, and reincarnation. And yet her depiction of the subtle workings of male competition and female jealousy is as psychologically perceptive as any passage in Proust, to whom she has been compared. As I have pointed out in an article in Approaches to Teaching Murasaki Shikibu’s The Tale of Genji (MLA, 1993), the work, despite its antiquity, remains an ideal text for modern feminist and psychoanalytical literary critique, and its themes of love and suffering remain strikingly fresh. Likewise Chômei's Hôjôki anticipates structuralism and deconstruction in its Buddhist insistence on context as a conditioner of meaning and the indeterminacy of language. If I succeed in conveying the wealth and excitement of the early Japanese literary world to beginning students, they are more likely to go on in the field and acquire the language tools, both ancient and modern, to tackle more advanced courses. Classical Japanese is so utterly different from modern English that it generates stark lessons in the failure of any translation to provide an unmediated and transparent version of a text in another language. By comparing translations, students first work out the mechanics of classical Japanese sentences, with their reverse word order, complex agglutination, compound aspect markers, honorifics, and ellipses, then gradually recognize the elements that resist reconfiguration and the sacrifices that are inevitable. The course thus becomes an introduction to translation theory as well as to grammar, and it improves skill in both Japanese and English. We then move on to Hôjôki and turn sterile grammar into a confession written by a narrator tormented by his inability to abandon the world for the sanctity of Buddhist non-attachment. Chômei's text allows me to put classical Japanese language into practice and simultaneously bring the medieval world to life. This introduction to premodern Japanese literature is a prelude to a variety of more advanced classical courses taught in the original Japanese. In these latter courses, whether they involve the songs of 8th c. bards, the diaries of cultivated female courtiers, or the philosophy of medieval monks, I stress a commitment to both kotoba (word) and kokoro (spirit) and look for modern relevance within an environment of rigorous textual criticism and le mot juste. I find that students become increasingly interested in the text the more deeply they learn to grapple with the differences, the untranslatabilities, of the original words. Through the analysis and translation of these ancient texts, students not only expand their appreciation of the diversity of the human experience but also recognize through comparison and contrast their own intellectual, cultural, and linguistic foundations. A memorable class is a performance, and the more of my listeners' senses I can enlist, the more vivid the lessons become. Audio-visual aids are therefore indispensible, such as slides of the seasonal imagery or urban landscapes described in the texts, or a recorded reconstruction of the way The Tale of Genji actually sounded when read aloud in the 11th c., or the sound of the lute music to which the epic war story The Tale of the Heike was once recited, or speeding up videotapes of Noh dramas to recreate the quicker pace at which they were originally performed six centuries ago. I also enjoy leading students on a virtual tour of Prince Genji's sprawling mansion, via a two CD set made by a Japanese company, for which I provided an English introduction and translation. What begins as a two-semester classical Japanese requirement for the major hopefully ends with a much deeper appreciation of the extraordinary richness of the premodern corpus. Students complete the program with the recognition that what is old now was new once, and that the literature of those now gone will, through the comparisons it invites, shed as much light as any modern cultural inquiry into the complex and diverse nature of our own time. I'm also privileged at Berkeley to have a constantly changing cadre of superb graduate students, who teach me as much as I teach them. Some bring with them long experience in Japan, others a deep familiarity with Western literary theory, and still others extensive teaching experience. And while some intend to make premodern Japanese literature their life's work, others focus on modern or contemporary literature, history, or other "outside" fields. I periodically provide a bibliography seminar for incoming graduate students that introduces the nuts and bolts of academic research in the Japanese humanities, a course which is constantly updated as more digital resources appear. In subsequent semesters I offer a variety of other courses in specific works, genres, or eras, concentrating on close readings of texts, exegetical discussion, and papers ideally of publishable quality. These advanced graduate courses are meant to prepare students for their doctoral qualifying examinations and to serve as a bridge to their own professional careers. Design and development by smallnormous LLC.